Recently I attended an Initial Planning Meeting for the Central United States Earthquake Consortium 2019 exercise ominously entitled “Shaken Fury”. The discussion as it related to the acknowledgment of challenges that proposed scenario poses for recovery officials caused me to ponder why recovery exercises have rarely succeeded over the years. I think I know. 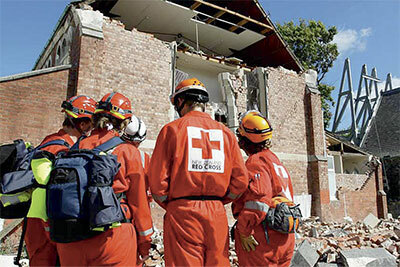 Most exercises are response-centric, and response personnel are often the principal planners. Said planners, be they military, or police and fire, focus on what they know. They don’t “know” recovery. 2003’s TOPOFF 2 exercise, which was to be a response to a “dirty bomb” event in Seattle. Seattle OEM, led by me, and King County OEM, led by Eric Holdeman collaboratively lobbied/insisted that recovery issues (economic, social, physical and psychologial) be addressed. Unfortunately, in the limited time ultimately set aside for a recovery discussion at the end of that exercise leaders studiously avoided serious consideration of those issues. Most large disaster exercises, then and now, suffer from serious, avoidable planning flaws. “Recovery” requires the participation of personnel with expertise that is different from that of responders, yet they are seldom included in planning sessions or asked to vet planning assumptions. For example, representatives from building trades, banking, investment corporations, as well as social services and the appropriate political leadership will need to weigh in. State legislative staff and executive budget analysts also should be engaged in the discussion. Government personnel directors also are among those who must be available to assess emerging long – term workload resource requirements. And the list goes on. In addition, federal agencies besides FEMA (HUD, Commerce) need to be engaged in any major recovery exercise planning. A nocturnal Presidential tweet attacking a Governor who has criticized federal policies that threatens to undercut a frightened public’s confidence in government’s ability to ensure a prompt recovery. Both injects, which are credible, sadly, would require a prompt and comprehensive response within government and hopefully, in concert with business interests to offset the consequences of delayed assistance and public restiveness over the needed relief. Expecting traditional first responders even to know where to begin in such circumstances is both futile, and unfair to them. Recovery exercises do not require the trappings of the typical response exercises. Government meeting rooms, even corporate boardrooms, are where the “action” should take place. While not the stuff of movies, the restoration of the social and economic equilibrium of the afflicted communities should be the subject matter. It’s not the way we’ve done it so far. Under-practicing recovery’s unique challenges guarantees under performance. We’ve seen enough of that.